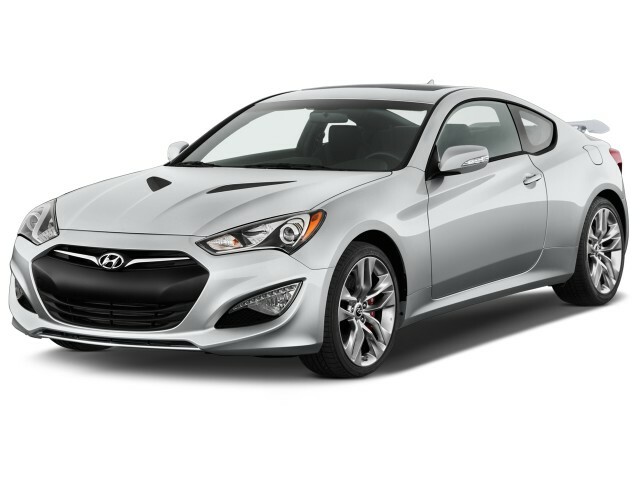 The Hyundai Genesis Coupe is a two-door, 2+2 sports coupe that gave Hyundai its first true sporty car when it was added to the South Korean automaker's lineup. The 2+2 Genesis Coupe shares its name and some components with the first-generation Hyundai Genesis sedan, but the two are very different in character. The Genesis Coupe has a wide range of rear-drive competitors, including the Chevy Camaro, Ford Mustang, and the Toyota 86 and Subaru BRZ twins. Unlike most Hyundai products, the two-door Genesis does not have a direct analog within the Kia lineup. Hyundai first introduced the Genesis Coupe for the 2010 model year. The original engine offerings were a 210-horsepower, turbocharged 2.0-liter inline-4 and a 306-hp, 3.8-liter V-6. Major improvements came in 2013—the front end was redesigned, engines were revised, and the interior saw a mild update as well. The 4-cylinder models have since been removed from the lineup. From 2010 through 2012, the Genesis coupe was offered in six main trim levels, three for each engine. 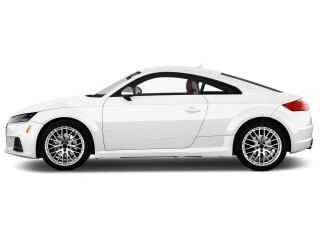 They were 2.0T, 2.0T Premium, 2.0T R-Spec, 3.8 R-Spec, 3.8 Grand Touring, and 3.8 Track. Even on base-model Genesis Coupes, Bluetooth hands-free and a USB port were standard, while top-of-the-line Grand Touring models came with xenon headlamps, Infinity premium audio, heated seats, and leather upholstery. Track models were, as the name hints, configured for weekend track excursions, yet comfortable enough for a daily commute. Interior materials were a bit of a sore point in the first year of production, but for 2011 Hyundai remedied that somewhat with a few new pieces and a brightened cabin look. Our editors found the first Genesis Coupes to offer extroverted and attractive styling, as well as strong performance (from the V-6) and enjoyable driving. 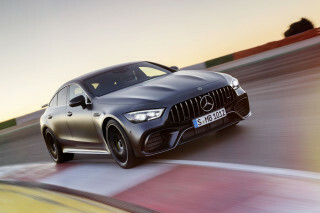 But the choppy ride, lack of steering feedback from the well-weighted wheel, and missing telescopic steering adjustment kept the Coupe from appealing to everyone. And the cabin was rather tight, which you wouldn't necessarily expect from its exterior dimensions. In all forms, however, trunk space is surprisingly spacious and accommodating. 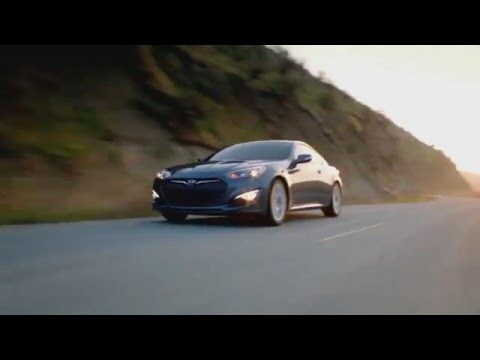 For the 2013 model year, the Hyundai Genesis Coupe was significantly refreshed. It received new engines, new front and rear details, a reconfigured instrument panel, and spruced-up interior trims and materials. 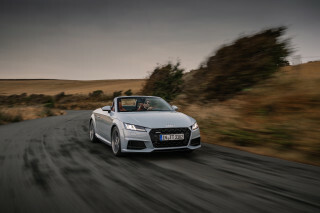 The four-cylinder's output was boosted to 274 hp, and peak torque arrived at just 2,000 rpm. Throttle response was much more crisp and there was less turbo lag evident, meaning the the four-cylinder finally had the immediacy necessary for track driving. It was able to deliver up to 31 mpg on the highway, to boot. The V-6 received direct injection, helping it make 348 hp. With either engine, the 2013 model offered a choice of a 6-speed manual or an all-new paddle-shifted 8-speed automatic (replacing the previous 5- and 6-speed automatics). Hyundai also retuned the steering and suspension for improved ride, better steering feel, and improved dynamics. Prices rose with this latest redesign, but the 2013 Hyundai Genesis Coupe still offered a strong level of feature content for the money, with base models including A/C, keyless entry, and a trip computer, and top-of-the-line models now offering a navigation system with integrated climate and audio controls, the BlueLink suite of services plus HD Radio, XM NavTraffic, and Bluetooth audio streaming. The R-Spec remained at the top of the line, adding track-oriented extras like Brembo brakes and a Torsen limited-slip differential. Hyundai continued to update the Genesis Coupe for 2014—making it that much more attractive to enthusiasts. 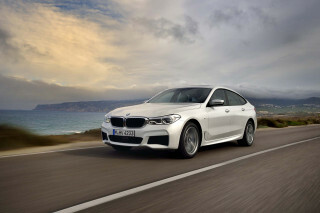 Four-cylinder models got a new engine-intake sound-induction pipe for a sportier sound inside the car, while automatic models now include rev matching on downshifts. The 2015 model year brought a much-simplified Genesis Coupe lineup. 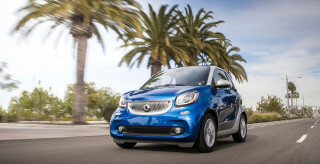 The turbo 4-cylinder and all of its models have been dropped, leaving just the V-6 versions. Hyundai created a Base trim level for the V-6 and added some standard equipment to keep the price somewhat low, and the Grand Touring model that used to sit atop the range has been axed. And then for 2016, the only significant change was the substitution of a new 6.0-inch infotainment screen over the former base dot-matrix setup. Hyundai has announced that it will split off its premium cars into a Genesis brand. That likely leaves the Genesis Coupe at the end of its lifespan, though Hyundai hasn't confirmed when a new two-door might join the new Genesis G90 (Equus) or G80 (Genesis sedan) in the future luxury lineup. Powerful, good handling and fun to drive. I have had my car for over a year and I still am a little excited every time I get in it. It is fun to drive, handles well and rides great.